Saturday, May 19, will be "Diamond Day" at Reading Terminal Market, as part of the market's year-long 125th anniversary celebration. To show customer appreciation, there will be special giveaways, discounts, food samples and more from 11 a.m. to 3 p.m. Taste of Philly Food Tours will be free during the celebration. 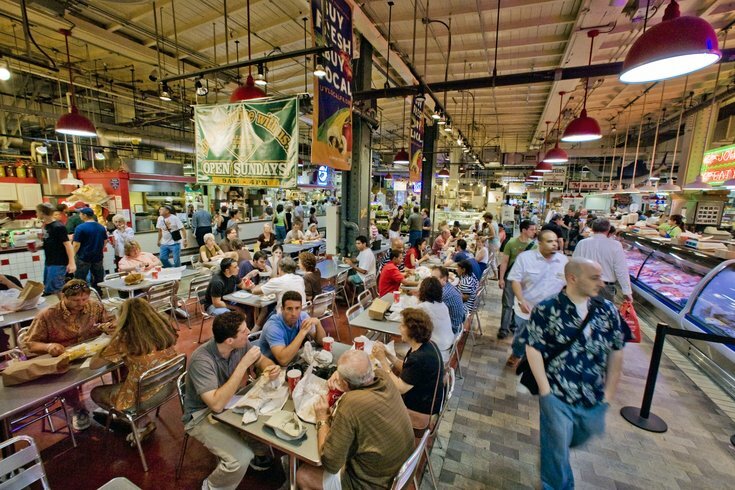 On the walking tour through the market, a guide will share the history of cheesesteaks, hoagies, pretzels and other favorite Philly foods, as well as the history of Reading Terminal. There will also be "Diamond Deals." Merchants will ring a bell to let lucky shoppers and diners know they're getting a free item or their purchase for free. Customers will also have the opportunity to spin a prize wheel for the chance to win items ranging from a $5 gift card to tickets for museums and other attractions around the city. Plus, once an hour, a winner will be chosen for a $100 shopping spree at Reading Terminal. All customers on Diamond Day will receive a free, two-hour parking voucher for the Hilton Garage on 11th Street, too.